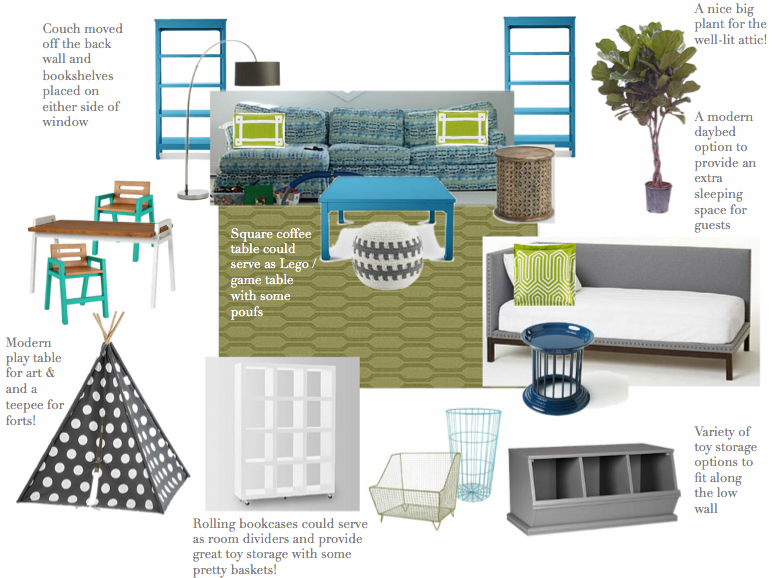 Remember back in January when I gave away a free room design to a reader to celebrate Design Improvised’s 3rd birthday? 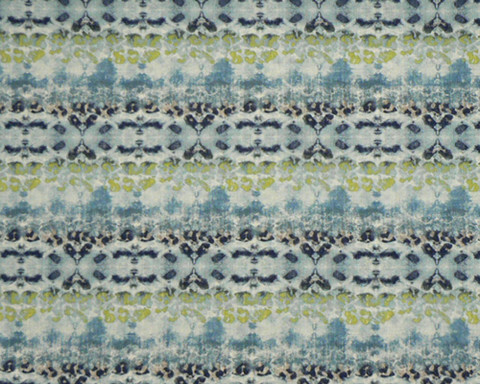 Well, I have a finished design to share with you today! 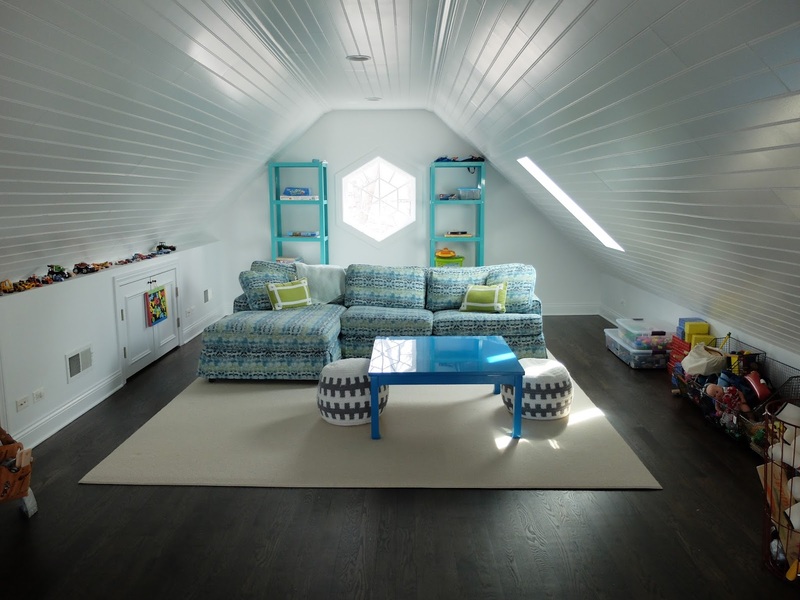 I had the pleasure of working with lucky winner Mara to help her turn this gorgeous attic space into a more functional playroom and hangout spot for her young family. 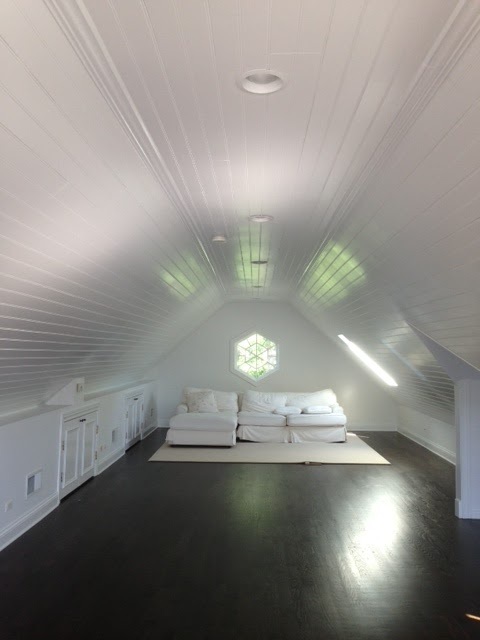 How amazing is this attic that they updated?! With a 6 year old and 3 year old, the space was filling up with toys fast and was in need of some storage solutions and more functional play surfaces. The long room and slopping walls created an interesting design challenge. Mara had recently covered her sectional couch in this vibrant fabric which I used as the basis for color inspiration in the rest of the room. 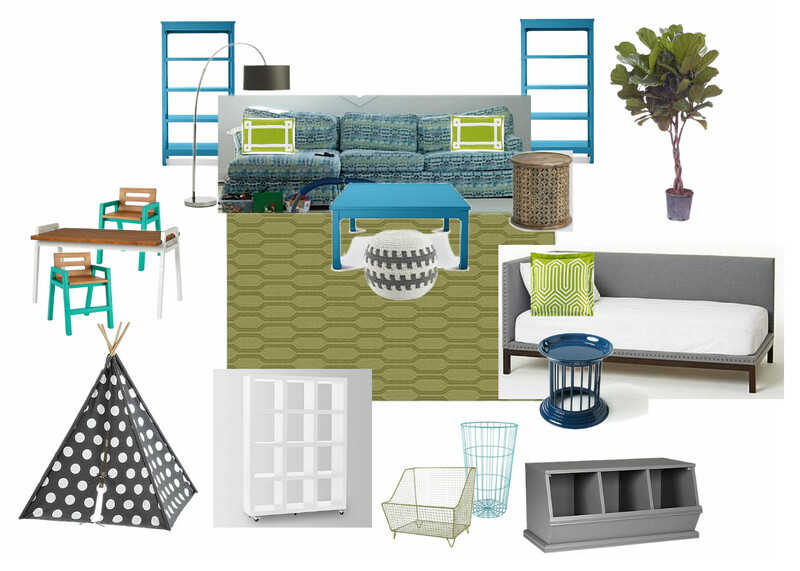 She is a fan of Jonathan Adler, so I found several pieces from his Happy Chic line at JCPenney to bring some fun pops of color to the room. I was so excited to get this photo from Mara this week of how the room is shaping up! I love the additional color and storage the bookshelves add to the room, and her kiddos love sitting on the poufs to play Legos at the new coffee table. Mara also got several of the wire toy storage bins that fit just right under the low wall. I’m so thrilled that Mara and her family found my suggestions helpful and have already put several of them to work!